Nicolas Alexandrovich Romanov, better known as Nicolas II, the last Emperor of Russia, was murdered with his family on the night of July 17, 1918. Tsar Nicolas had abdicated following the February Revolution of 1917, marking the end of Imperial Russia and the three-hundred year Romanov Dynasty. 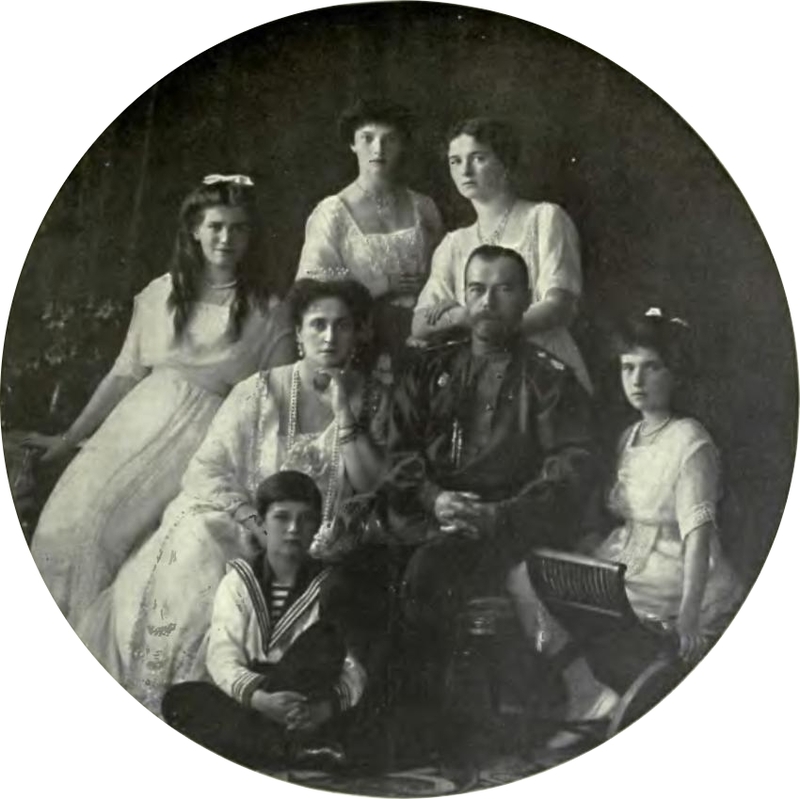 Following his abdication, Nicolas and his family were placed under house arrest in three locations over the following year to protect them from those involved in the Russian Revolution. Their final destination was the house of a military engineer in Yekaterinburg. At 2 a.m. on July 17, 1918, the family was awakened and was told to dress and go to the basement. They were led to believe that this was for their own protection as anti-Bolshevik forces were approaching Yekaterinburg. Instead, Nicolas, Alexandra and their children Olga, Tatiana, Maria, Anastasia and Alexi as well as four members of their household staff were gunned down by an assembled firing squad. Nicolas was the first to die and was shot multiple times in the chest. The women of the family, clothed in gowns stitched with precious gems that afforded some protection from the first round of bullets, were finally bayoneted and shot in the head. The bodies were taken to a nearby mine, where all their clothes and previous jewels were removed, and then the mine entrance was sealed with grenades. But the secret location of the Tsar’s resting place was leaked by several of the executioners, so the bodies were uncovered shortly thereafter and transferred to an alternate location. The Russians attempted to burn two of the bodies, but when this proved time consuming and difficult, they simply buried the remaining victims after dousing them with sulfuric acid to hide their identities. The bodies lay undiscovered for over sixty years. In 1989, the news broke that the suspected remains of the Tsar and his family had been discovered ten years earlier, but those who knew the location had not come forward. Dr. William Maples, a forensic anthropologist from the University of Florida, offered to put together a team to examine the remains. Once in Russia, Dr. Maples was quickly able to identify the remains ― The Tsar by the shape of his face and a deformed pelvis from so many hours spent on horseback; the maid from her worn joints due to countless hours of manual labour; the Tsarina by her expensive platinum dental work; three of the four daughters by their bayonet wounds as well as pelvis maturation. Later, in 1993, with the advent of new DNA techniques, Maples’ initial results were confirmed. On July 17, 1998, the remains of the Tsar and his family were interred at St. Peter and Paul Cathedral in St. Petersburg, exactly 80 years after their execution. But two bodies were missing, those of Tsarevich Alexei and Maria. In 2007 a small burned area was discovered in the Ural Mountains, overgrown with nettles and holding the remains of a teenaged boy and a young woman. DNA testing confirmed that the missing children had been found and the mystery of the Romanovs was finally solved. Writing Habits – Music or Silence?